Aorus is a gaming focused manufacturer with expertise in making gaming laptops and other gears. Recently they launched another installment in their laptop series - Aorus X3 Plus v3. If you are looking for a small gaming laptop then you should go for Aorus X3 Plus v3. It features a small 13 inch display packed with i7 processor, a powerful GPU and much more. This laptop is totally focused on high-end gaming experience. You can take this laptop around the globe because of its ultra-portability. Aorus X3 Plus comes with a brilliant body design which is most important in a gaming laptop. It comes with a body made up of anodized aluminum. X3 Plus comes with a glass touchpad with its keyboard placed at very top of the laptop. Due to this it leaves no space for other stuff like multi-media keys, etc. 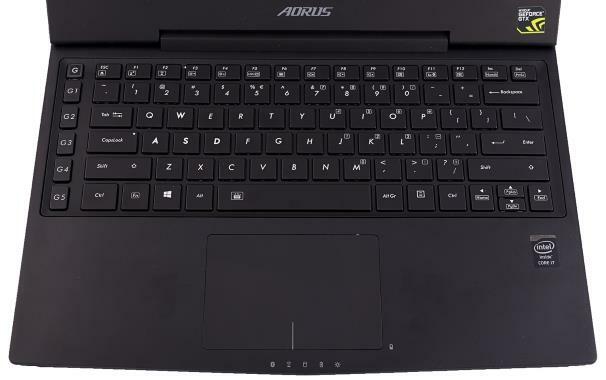 The power button and speakers are placed at the right side and under the laptop respectively. Apart from all these it only weighs 4 pound which is lighter than Alienware 13 which is said to be the best laptop in series of "13-Inch Gaming Laptop". X3 Plus's keyboard also comes with 5 programmable Macro Keys which will help you attain all the combos while gaming. Apart from this you get a full size enter and backspace key which is uncommon in gaming laptops. Like all those gaming laptops you get back-lighted keyboard but you also get power to adjust intensity according to your taste. If we look at the downside of the keyboard then there are only few. Caps Lock key on this laptop is much bigger which is not acceptable. Due to this there are many miss press of Caps Lock instead of 'A'. Touch Pad on this laptop is pleasing to eyes but it is not up to the gaming standards. Due to glass touch pad there are many cursor jumps which are not be accepted by any gamer around the globe. If Aorus wants to survive in this top-notch gaming market than they should upgrade accordingly. Aorus X3 Plus comes with a 13-inch ultra HD display with 3200 x 1800p. As per the experts it is the best display configuration till now in any other 13-inch laptop. You will never feel anything lacking in the display tech which covers almost every other issue in this laptop. Here comes the most important part. Aorus X3 Plus comes with 2.5 GHz Intel i7 processor coupled with 16 GB RAM. It performs pretty well while gaming. According to experts, you will not feel any lag while playing GTA 5, Watch Dogs, etc. at ultra-high setting. X3 Plus comes with 256 GB SSD drive which is pretty good for fast gaming experience. This laptops boots within 4 seconds and scores highest rank in boot time. Best part about this laptop is its graphics card. Aorus X3 Plus comes with NVIDIA 970M 6 GB Graphics card. Yes, you heard it right. You get 6 GB graphics card in this laptop. GeForce 970M can handle all those extreme graphics processes with ease. It delivers brilliant FPS while playing games at Ultra-High configurations. Aorus X3 comes with a brilliant battery saver tech. Battery life was main issue in gaming laptops. Due to their hardware specification power consumption on these laptops are usually pretty high. X3 Plus automatically turns off primary graphics card while not in use. Instead of primary card it relies on Intel's mother board graphics card to save battery. Due to this its was able to survive for 6 hours during mixed usage which is best in gaming laptop series. Aorus X3 Plus v3 comes with 2 USB 3.0 Ports and SD Card reader. While looking at the left side you will see another USB 3.0 Port, Display port, HDMI port, mic and audio jack and a lock slot. You will find two ports at the rear of the laptop which are Ethernet port and a power jack. Most of the gaming laptops comes with command center which lets you control everything on your laptop. But it is far better on this laptop. 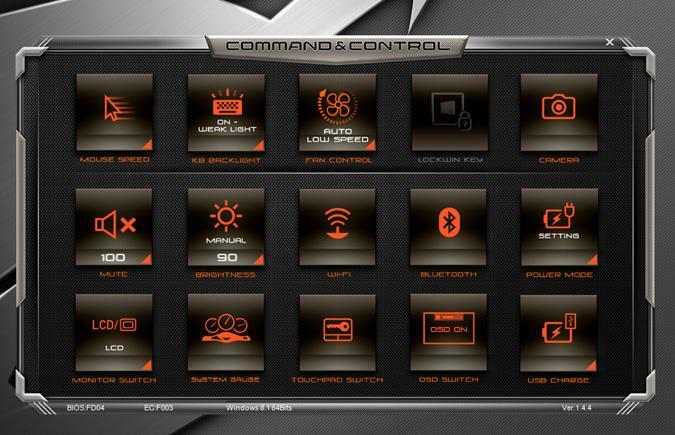 Aorus X3 Plus v3 comes with a highly customizable command center. It lets you control Mouse Speed, Keyboard Backlight (Intensity), Fan Control, Camera, Sound Control, Brightness control, Wi-Fi, Bluetooth, Monitor Switch, System Gauge, Touchpad Switch (Beneficial while watching movies or playing games with additional mouse) and USB charge. Apart from this Aorus X3 Plus v3 comes with a long term international warranty of 2-Years. You can lay hands on Aorus X3 Plus v3 at $2,200. As per Tech Experts it is the best 13-inch laptop with ability of gaming and working as well. If you want a portable gaming laptop then just go for it. Please submit your reviews about this laptop in comment section. All the queries will be answered as soon as possible.